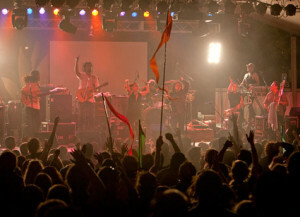 In the early Fall, the Lotus World Music and Arts festival has been held in Bloomington since 1994. The festival hosts musicians and entertainers from across the world who are scheduled onto outside stages or into sanctuaries of the many churches in downtown Bloomington. Food and drink is available. The festival goes on for a number of days across a long weekend.